was born on May 23rd 1960 in Minsk, Belarus. She graduated from the Belarusian Academy of Arts in 1985. In 1997, Natalya was granted two European traineeships sponsored by foundations KulturKontakt (Vienna, Austria) and Künstlerhaus Boswil (Switzerland). Since 2000, Natalya has been living and working in Brussels, Belgium. In 2005 her work was shown at the 51st Venice Biennale. 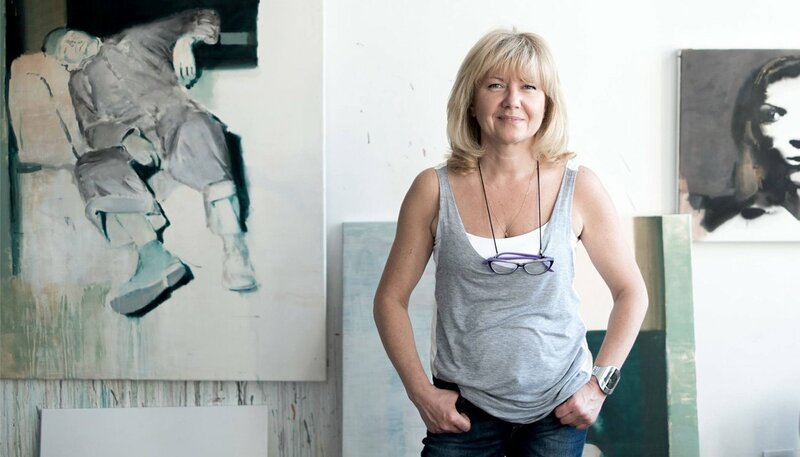 She frequently participates in Artist-in-Residence programs such as the VI International Symposium “Alanika”, Vladikavkaz, North Ossetia in 2012 and Artist-in-Residence “Mark Rothko”, Daugavpils, Latvia in 2013. Natalya Zaloznaya’s art has been extensively exhibited in both Europe and the United States. Her works can be found in the State Tretyakov Gallery, Moscow (Russia) and the Belarusian National Museum, Minsk (Belarus) as well as a significant number of private collections throughout the world.